but before you start to pack away your shorts and tank tops, be sure to enjoy some great music in Wilmington, DE for the rest of the month! The City of Wilmington has a number of concert series taking place in various venues—outdoors and indoors—and they are all free. You can catch a concert of diverse music almost any day of the week for no cost in Wilmington. the concert series in Rockford Park. Attendees are encouraged to bring a blanket or chairs along with a picnic to enjoy the music which begins at 6:30 p.m. The concerts are held close to the Rockford Tower which is also open to those who want to climb to the top and get a great view. Check out www.destateparks.com for more details. from noon to 1:30 p.m. for the Summer Salon Series. The performances range from children’s groups and New Orleans inspired tunes to rock and alternative. A full listing of the upcoming performances can be found at www.thegrandwilmington.org. seems to be Thursday evenings! As you may have read in the pages here, Out & About is running the band competition Musikarmageddon again this summer. Some of the best bands in the region compete to be named the best. The concerts have been held at Logan House for most of the summer, but the finals move to the baby grand! Check out the listing in this issue or visit http://outandaboutnow.com for more details. The 2011 Shipyard Summer Concert Series is also held on Thursday nights from 7 to 8 p.m. on the riverfront. Attendees can sit by the river in Dravo Plaza and listen to oldies, rockabilly, reggae and more. The bands perform by the cranes in the plaza through Aug. 25. For more information, call 302-425-4890 ext.109 or visit www.riverfrontwilm.com. in H.B. DuPont Park from noon to 1:30 p.m. The park is on Washington Street between 10th and 11th Streets across from the Sheraton. It is a beautiful setting with benches, steps and a fountain. There is plenty of space to chill out on your lunch break and enjoy the sounds of diverse music selections. The concerts will be held through Aug. 26 and you can visit www.wilmingtonde.gov to get the line-up. Aug. and Sept. have plenty of festivals and events to keep you busy. The 2nd Annual Riverfront FamilyFest will be on the riverfront on Saturday, Aug. 20 at 11 a.m. The day will include many family activities in the Chase Center on the Riverfront, along the riverwalk and a scavenger hunt. For more details, visit www.riverfrontfamilyfest.com. 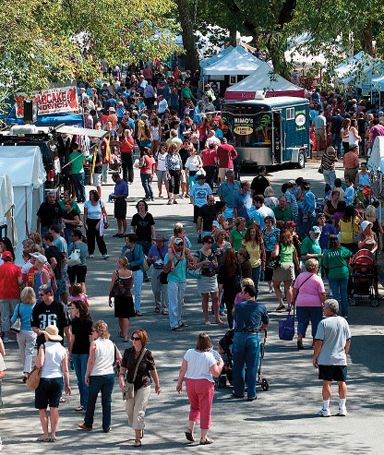 All the art lovers in the area will be happy to know that the Brandywine Festival of the Arts will return to Brandywine Park on Saturday, Sept. 10 and Sunday, Sept. 11. 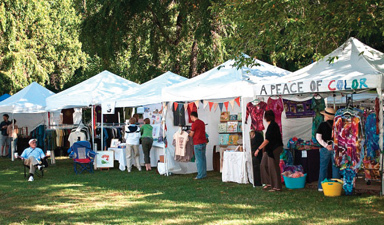 The annual event features hundreds of unique artists and craftspeople who sell their goods for the two-day event. It’s set in the midst of one of Wilmington’s beautiful, tree-covered parks along the Brandywine River. For full details, visit www.brandywinearts.com. The ethnic festivals are not just in the summer in Wilmington. 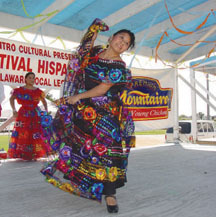 The Hispanic Festival takes place on the riverfront from Sept. 9 to 11. The event celebrates the various Hispanic cultures in Wilmington with food, music and more. For more information, visit www.riverfrontwilm.com. The festival fun in Sept. continues with the St. Hedwig’s Polish Festival from Sept. 12 to 17. 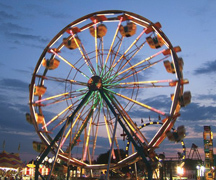 It also happens on the riverfront and includes authentic Polish food, dancing, games and amusement rides. For more information, visit www.polishfestival.net. Wilmington’s vibrancy continues through Aug. and Sept.—proving that the summer fun doesn’t have to end as the temperatures ease up and school is back on the mind. For more information about arts and entertainment in Wilmington, visit www.inwilmingtonde.com.